The RLC-ADM can be used with the RLC-CLUB, RLC-Club Deluxe, RLC-Club Deluxe II, RLC-1, RLC-2/2A, RLC-3 and RLC-4. • Reduces gap in the audio if the DTMF decoder falses. Add a fast action Motorola M7716 squelch circuit to any FM radio. 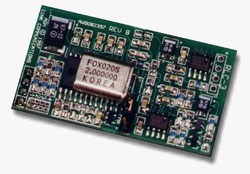 The RLC-MOT board was designed to add high speed squelch action with weak signal hysteresious on a small in-radio module. The interface is designed to fit inside the receiver section of your repeater or link receiver. The RLC-MOT will generate a stable but fast COR output to drive your system’s controller. The audio muting function will mute the discriminator audio input, and the dual output COR generator will interface to any system controller. 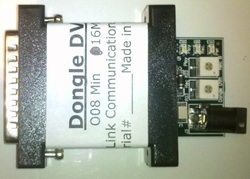 Introducing the Dongle DVR digital voice recording system for many of the RLC repeater controller family. The module can be interfaced with the RLC-2/2a, RLC-3, RLC-Club, RLC-Club Deluxe and the RLC-Club Deluxe II controllers. This module provides a method of recording and non-volatile storing of voice prompts and messages. The Dongle DVR emulates the RLC-DVR1 digital voice recorder with the following exceptions.